Does the Law of Attraction Support Soul Contracts? OK, first a Soul Contract is a commitment that two souls make to assist each other in learning some lesson while they are here on Earth. Imagine two souls out there, before embodiment having a little conversation. A Soul Contract created in this way is beautiful, high-vibrating and meant to be discovered and nurtured and eventually mastered and completed. The Law of Attraction on the other hand is a universal truth. You can translate is as “like attracts like” and if you think of it as an energetic law, it will be easier to understand. Have you ever had a day in which everything you did just worked perfectly? The weather was perfect, your breakfast was amazing, the conversation with the guy at the gas station was hilarious…? This is the Law of Attraction in action. If you hold an expectation or belief that everything is wonderful (or horrible or whatever) at a deep level, the universe will receive that message and send you experiences to match it. Now, since every thing (idea, belief, behavior, thought) in our world is made of up energy – and that energy has a vibration, just like your belief that your day is going to be AMAZING, your Soul Contracts also send out a message – which the Universe receives and then, according to the Law of Attraction, gives you experiences to match. For example, let’s say there is a Soul Contract between you and your husband that is teaching you how to speak up. That Soul Contract will vibrate in its own specific way – throwing the message out to the universe that basically says “hey – please send me experiences so that I can exercise and master this Soul Contract with my husband!” You will start to receive plenty of opportunities and challenging moments to speak up. 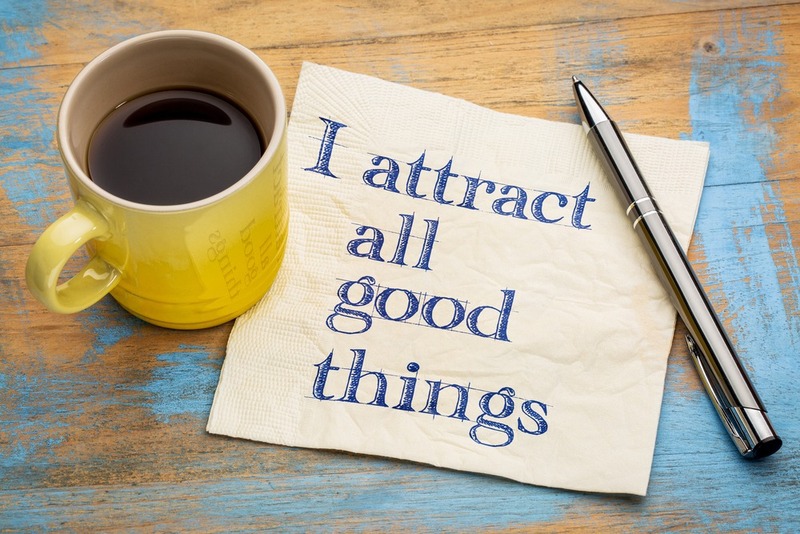 The Law of Attraction works hand in hand with Soul Contracts to help you become the best person you can be – although sometimes if may not be comfortable. Step one for working with these concepts is to identify the Soul Contract (whether positive or negative) between you and another person. Just start there and you’ll be on your way! https://www.daniellemackinnon.com/wp-content/uploads/2011/07/shutterstock_498067354.jpg 667 1000 Danielle MacKinnon https://www.daniellemackinnon.com/wp-content/uploads/2018/10/DM-Editable-Logo-new.png Danielle MacKinnon2011-07-30 01:15:382018-01-18 18:39:11Does the Law of Attraction Support Soul Contracts? I’ve been wondering something similar I think. I’ve been reading a bunch of LofA stuff and particularly striking to me were the following 2 affirmations “more and more I am choosing positive interpretations of my daily experiences” and “I am becoming more optimistic”. How does a person do that AND at the same time be really trying to listen/access their own inner/higher self. I am torn between “programming’ my reality with believing positively about what I desire and simultaneously trying to figure out what truth is and what I should do. It seems scary like I might be fooling myself but at the same time it also feels like taking the leap of faith and trusting both LoA and my inner/higher self simultaneously. Can one make the mistake of CHOOSING to interpret something positively versus interpreting something by trying to find the TRUTH in it. I like the way you have put out these musings/questions. Helped me to think about what I’ve been learning about the LofA as well. You probably already have a feeling about the truth as you are trying to interpret things in a positive way, trying to make sense of things. I think with the LofA, each moment of truth is what we make of it or a result of what we made out of a previous moment. When we listen to ourselves we probably realize we want to go with what feels good, upstream and non resistant feelings. I’m guessing those would naturally be the vibrations of our higher/inner self. What if the lessons being enabled by our soul contracts are tiring us out? I can see that I am being taught forgiveness, tolerance, compassion, non-interference and gratitude. Sometimes its tiring when you haven’t experienced generosity or kindness for a long time. when I see injustice prevail and when so many things in life become inexplicably twisted, the only way i can make myself feel easier is to adopt the belief that i am now doing my time here on earth because i must have done something real bad to many people in my previous lives. i don’t know whether this attitude is right or wrong. my experiences on the face of this planet this time have taught me to tolerate every injustice and every unkind person. i used to stand up for my values, but now i’ve learnt to shut up. just do my time and i can go home soon. i surrender. I am trying to understand soul contracts working in conjunction with the LoA. Does those 6.4+ millions souls lost at Auschwitz signed those contracts? Or did their LoA lead them there? Or did they had karma from previous lives to pay up? Or that they didn’t fulfill there last contracts they signed? I am trying to understand…plus also I am here with confidence that LoA will lead me to the answer.